With all this fear mongering and heavy handed responses to the event that happened in Charleston, SC, it makes you wonder over and over again, what is the hidden agenda? Discrediting Conspiracy Theorist who align this event with other false flags/hoaxes? $29 million pay out (off) the the victims’ families? Exposure of Repubs White Supremacist supporters? Shifting the Balance of the Presidential candidacy towards the DEMS? Home grown terrorism and blame it on ISIS? The irony of all this is underneath it, this is disaster capitalism. 4. 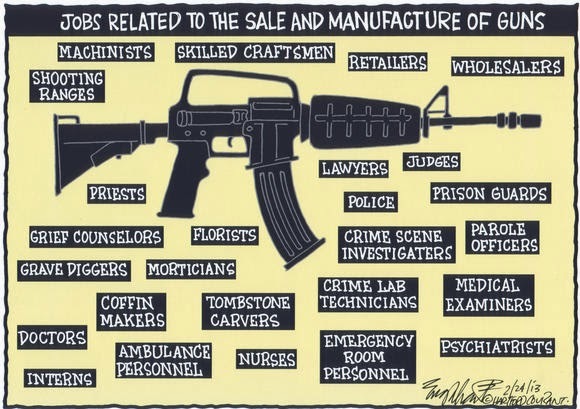 The threat of stricter laws just makes the manufacturers of guns even richer as they sell more guns to frightened people who feel they must stock up. So actually, events like this, police brutality, racism, poverty, fear and degradation actually impact on the stock markets and trading and boosts their assets and profits. Question: is this a stimulus package for the corporations and banksters that deal in weapons manufacturing? Is this a tactic to get more money out of the pockets of the consumer who has been virtually holding on to their cash, being more thrifty about purchases and using better budgetary sense? Who really benefits from all this? The average citizen or the corporations, banksters and globalists who have an agenda that for all intents and purposes is to forment chaos so that they can stay in power. I seriously don’t believe they want to take the guns from the American people. The argument that folks need to protect themselves from the Government Martial Law is whimsical in that seldom do you hear of a person being armed and stopping the police from invading their home or business establishment. And in those case, most often the armed person is taken down! I believe that they want everyone to HAVE guns, that way crimes of passion with a firearm can rise, people can be even more leary of their neighbors, domestic violence can sore, and children can accidentally kill their friends and family. But mostly, they can sell more guns, guns, and more guns……. Heck, they openly sell them to Rebel groups around the world, especially in the middle East and Africa, now the Ukraine, why not arm a restless, frightened, economically beaten down US citizenry? Makes sense? Excerpt: “The U.S. spent $20 billion training and arming the Iraqi army. Now many of its weapons are in the hands of these unchecked militiamen. Excerpt: “Few would believe if one told them then, that in 2015, that same discredited US would be routinely bombing Syrian territory and poised to justify the raising of an entire army of terrorists to wage war within Syria’s borders, yet that is precisely what is happening. President Obama has announced plans to formally increase military force in Iraq and Syria “against ISIS,” but of course includes building up huge armies of “rebels” who by all other accounts are as bad as ISIS itself (not to mention prone to joining ISIS’ ranks by the thousands). All it took for this miraculous turn in fortune was the creation of “ISIS,” and serial provocations committed by these Hollywood-style villains seemingly engineered to reinvigorate America’s justification to militarily intervene more directly in a war it itself started in Syria beginning in 2011.